Blogging is a great option for content marketing, but is it the only one? It can seem like it when all you hear about are freelance bloggers. 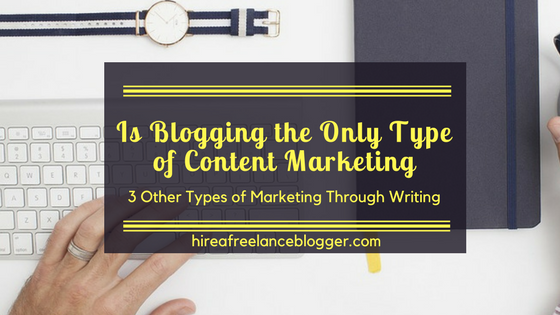 The truth is there are different types of content, and many bloggers will be able to write these different types of content. But are they all any good for marketing your business? Is it best to just stick with your own blog? 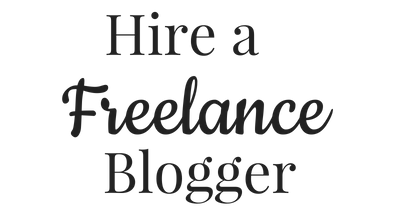 Here are a few ideas for ways to utilize your freelance blogger for hire. 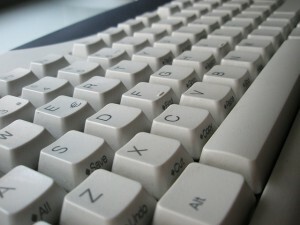 Why not try your hand at guest blogging? This follows a similar style to the content marketing you’re already doing, but can really increase your reach. 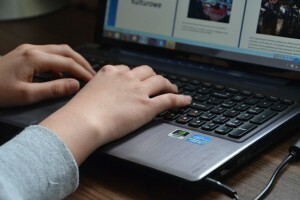 The benefit of guest blogging is you have a new audience to connect with. Add in a link to your Facebook page or website and you can get people visiting you. However, you will need to make sure your blog pitches work for that website and you connect well with the bloggers. The question is whether you do the guest blog searching and pitching or get your freelance blogger to do it. The blogger will know the chances of being rejected and may decline this offer, unless you pay for all the time spent emailing bloggers despite rejections and people ignoring them. Article marketing was once a great way to promote your business. People would add content to the likes of Ezine Articles. However, since Google’s crackdown and algorithm change, this type of content marketing died down. However, there are still ways to make it work. It’s all about choosing the right sites. Revenue share sites offer great opportunities. There are plenty out there like HubPages and Wizzley. But you will need to check the terms of service to make sure you can get someone else to write your content for you and post it under your own name. If it’s a work for hire agreement, you usually can. You’ll also need to check the terms of service for the type of content you can share. Anything overly promotional is usually removed, but good freelance bloggers will be able to find a way around that. Sales copy is something that not all freelance bloggers will be able to do, but content marketing worth considering. These are pages designed for one thing: to get people to sign up or purchase something. Some people use the pages to encourage others to sign up to their email lists. Others will do it to get people to buy a particular product on the market. They’re often styled in a way that hypes the call to action up and makes all the benefits clear. You will need to find a blogger who is able to create these types of sales pages though. 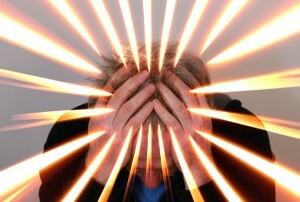 The wrong blogger could lead to it just not working at all, and actually turn viewers off. There you have it. 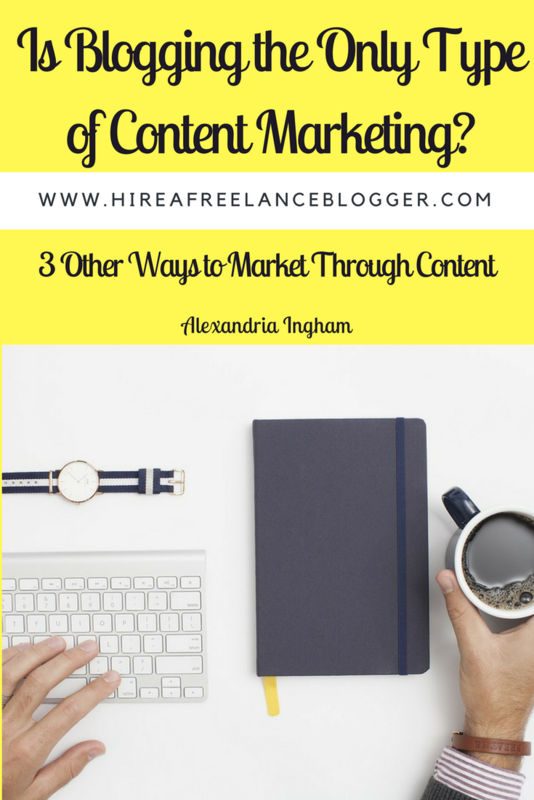 Content marketing is not just possible through blogging on your own blog. There are many different options out there. The three mentioned above are definitely worth looking into to see how they can help you. Have you heard of other content marketing options? Please feel free to share your ideas and thoughts in the comments below. If you need any type of content, get in touch with me via email. We can discuss your exact needs to find the best form of content marketing for you. Note: This post was originally published on July 15, 2014. It was updated on September 1, 2017.